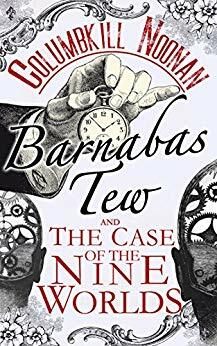 Satisfaction for Insatiable Readers: GEVBT presents... BARNABAS TEW AND THE CASE OF THE NINE WORLDS by Columbkill Noonan - GIVEAWAY! 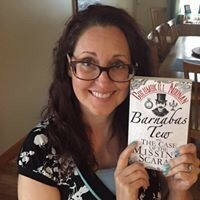 GEVBT presents... BARNABAS TEW AND THE CASE OF THE NINE WORLDS by Columbkill Noonan - GIVEAWAY! Barnabas Tew and Wilfred Colby are back, and, once again, they're in a bit of a pickle. Columbkill Noonan has an M.S. in Biology (she has, in turn, been a field biologist, an environmental compliance inspector, and a lecturer of Anatomy and Physiology). When she's not teaching or writing, she can usually be found riding her rescue horse, Mittens, practicing yoga (on the ground, in an aerial silk, on a SUP board, and sometimes even on Mittens), or spending far too much time at the local organic, vegan market. Sounds like a fascinating story. Looking forward to reading. You made me *laugh! * a bit with this post - mostly as it sounds like my September where I slightly overbooked my month as I had misplaced my physical calendar!? I have it back now, so I'm golden for the rest of the year, etc but for September!? Ooh dear, me! 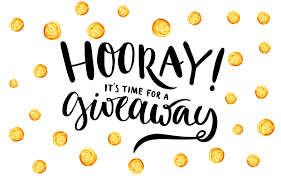 Plus, I also as a fellow book blogger understand what it is like to see all these wicked sweet blog tours going up for participation and finding that your heart is being pulled into their orbits!! I looked over all *3! * of your showcases for this series and I think you did a great job!! The author should be quite proud of your love + promotion for helping readers better understand what they will find inside the novel! !